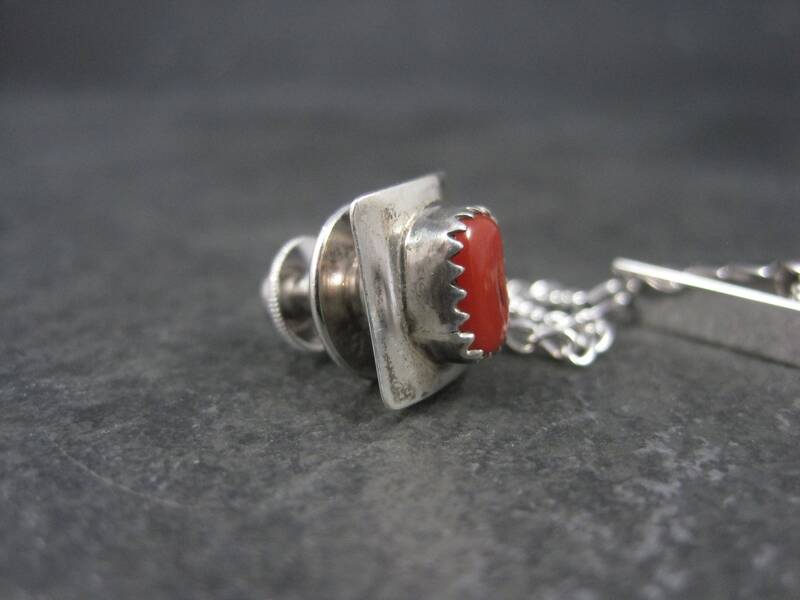 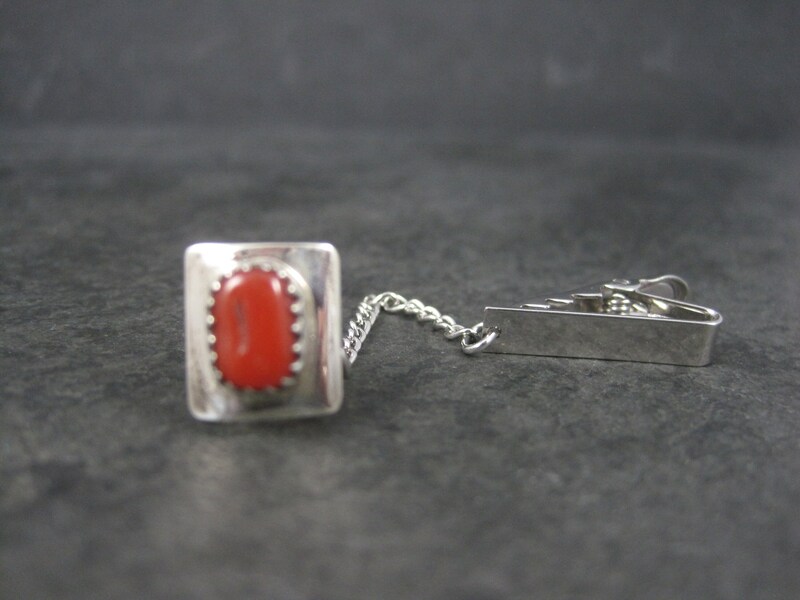 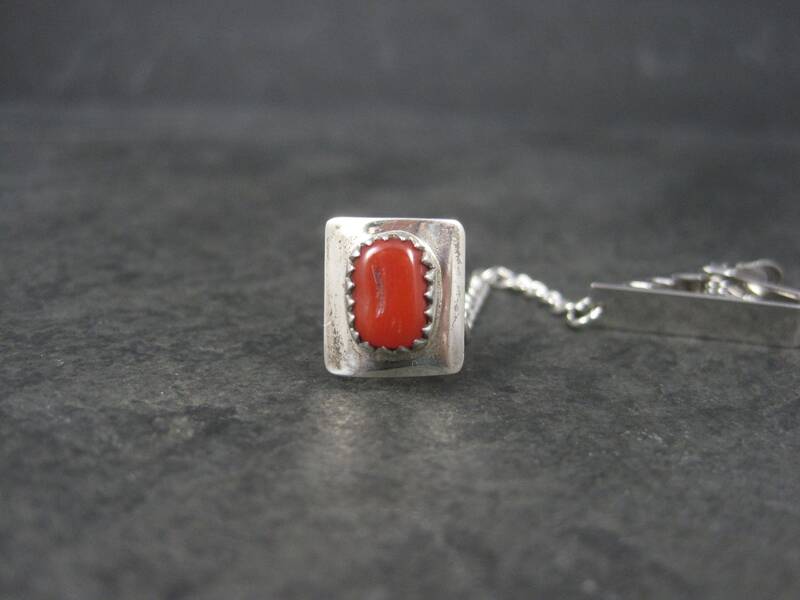 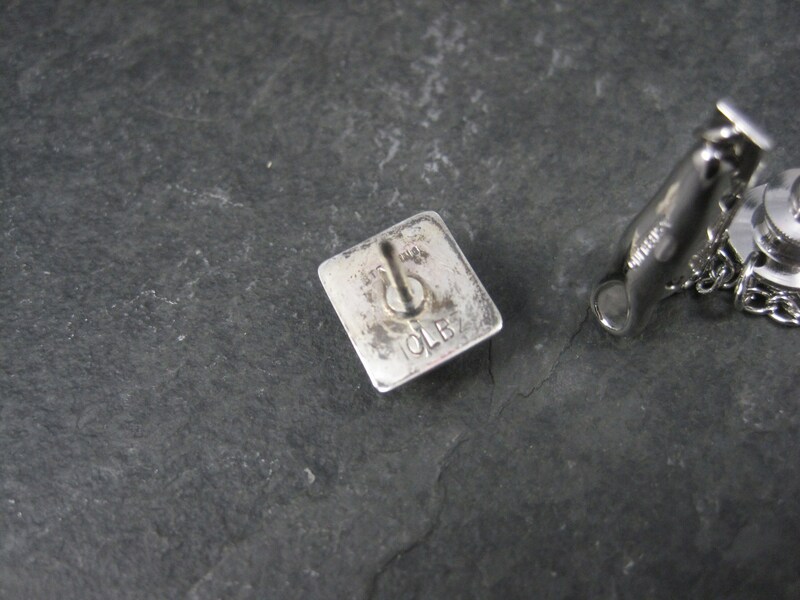 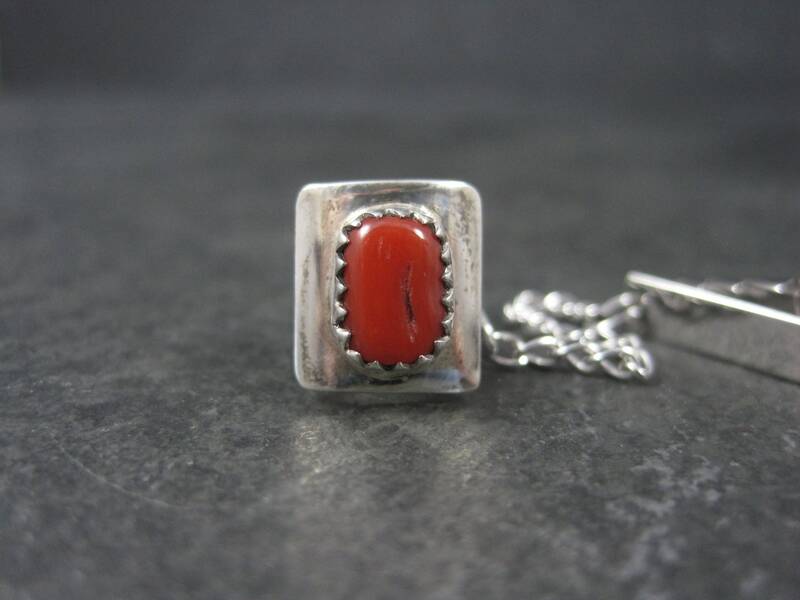 This beautiful vintage tie tack is sterling silver with natural coral. 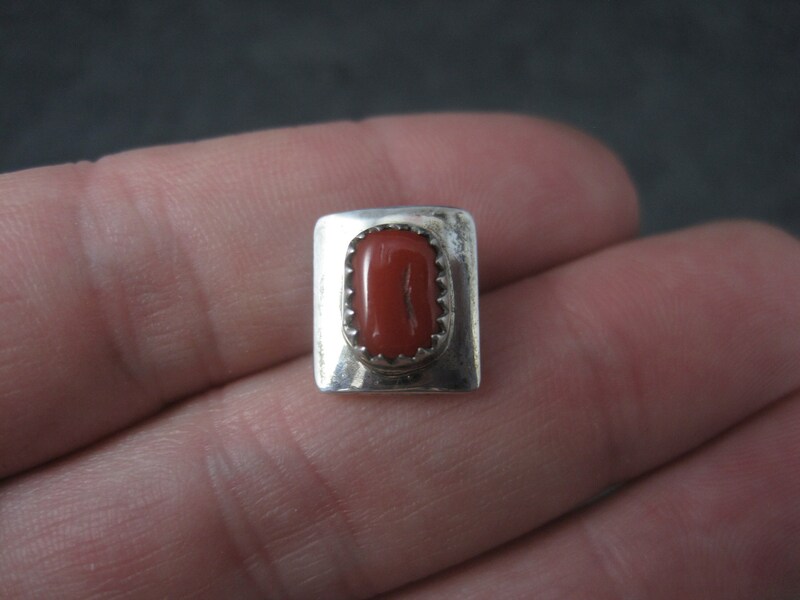 It is the creation of Santo Domingo silversmith Mitchell Calabaza. 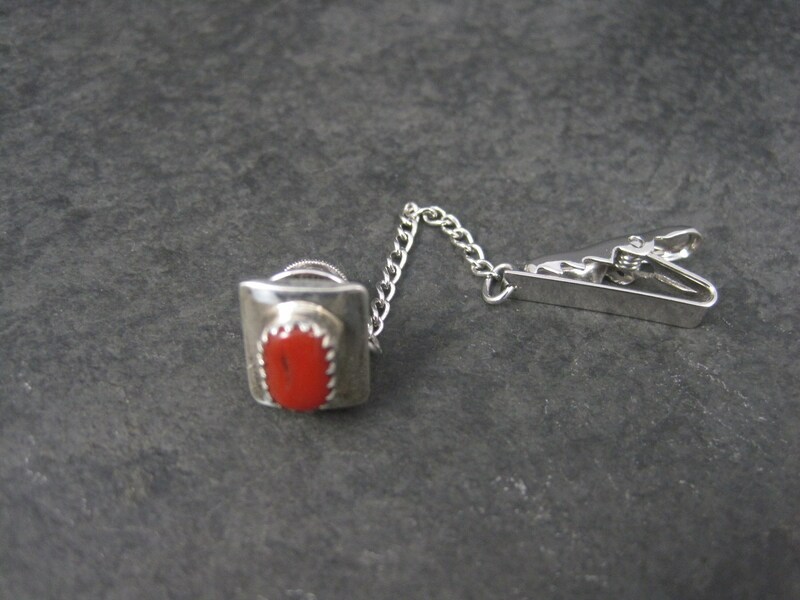 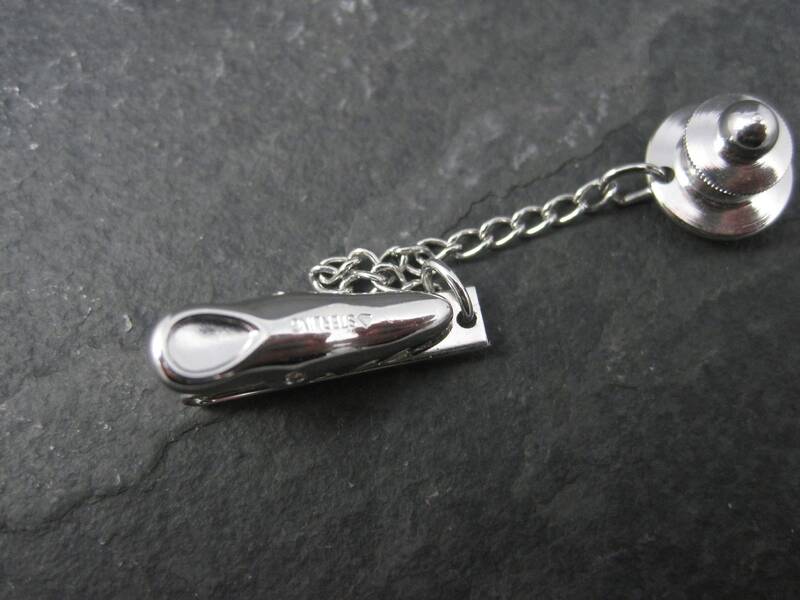 The clutch and clip are also sterling silver.